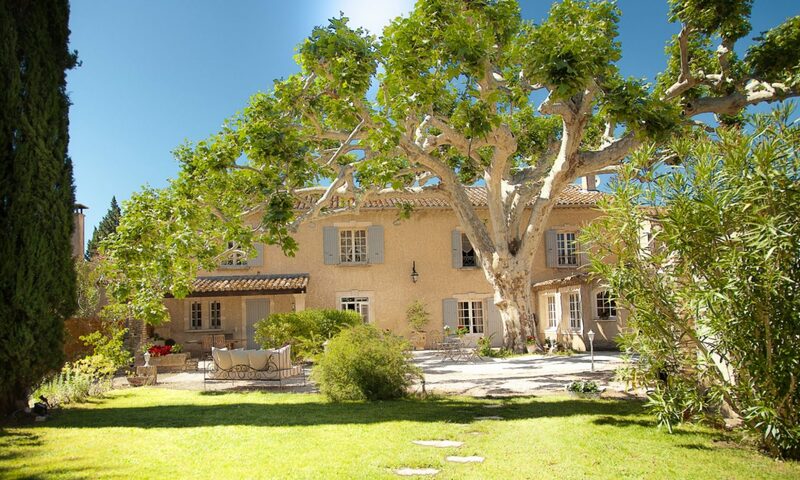 The Bastide d’Odette is an authentic farmhouse from Provence. Located between Avignon, Saint-Remy de Provence and l’Isle-sur-la-Sorgue we are ideally loacated for your discovery trips of Provence. Easy to access by road, and also private and quiet environment you’ll be able to enjoy a relaxing atmosphere under our centennial tree or with your feet in the cool water of our pool. Come and enjoy our 3 hectares (close to 8 acres) of private park and garden, our patio, terrasse, pool, 10 private rooms (including one accessible for handicaped people), top of the art kitchen, catering service, for your vacation, receptions, special events, conferences, and more. The bastide d’Odette is divided in three sections allowing us to offer three rental options : rent per week for your vacations, rent per day for your events, rent per night for our bed and breakfast. We can also offer catering service for your events since a professional kitchen has direct access to our reception room. Garage, parking for your guests, fenced swimming pool, shaded garden, old plane tree, 3 hectares of land, and the song of cicadas included from June to September!